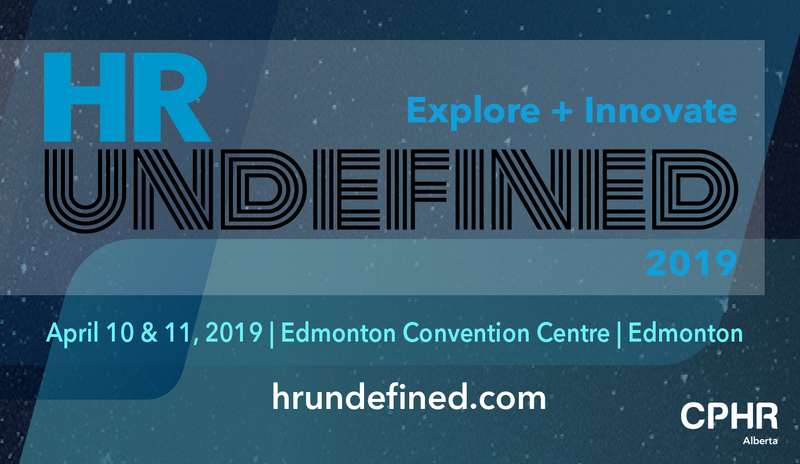 Join us on April 10-11 when hundreds of Human Resources and business professionals descend upon Edmonton’s River Valley to attend the Chartered Professional in Human Resources (CPHR) Alberta’s largest annual event; the HR Undefined 2019 Conference. It provides an environment where you can learn solutions to HR challenges through professional development and networking with Alberta’s HR pros. The Conference also includes professional development sessions, networking and community building that offers skills and tools for today’s challenges, and insights to prepare your business for tomorrow’s disruptions. Wednesday, April 10: 7 a.m. – 6:45 p.m.
Thursday, April 11: 7 a.m. – 4:15 p.m.
To view the different ticket prices, please visit their website here.